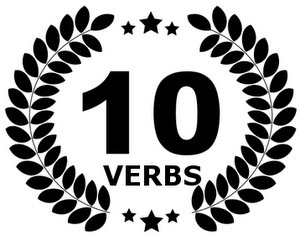 There are thousands of French verbs, but some are far more important than others. 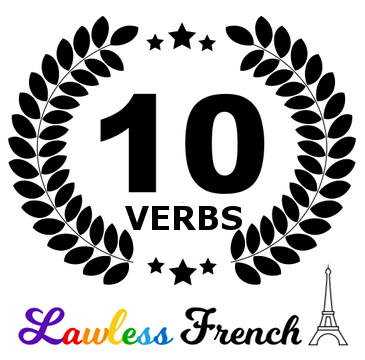 Be sure you know how to conjugate and use the 10 most common French verbs. Je suis fatigué. – I’m tired. J’ai un chien. – I have a dog. Je fais la vaisselle. – I’m doing the dishes. Je te dis la vérité. – I’m telling you the truth. Je vais à la banque. – I’m going to the bank. Je vois des étoiles. – I see some stars. Je sais son adresse. – I know his address. Je peux travailler. – I can work. Je veux manger. – I want to eat. Je dois étudier. – I have to study. Laura this is a fantastic resource I will definitely be a regular visitor. Now living in France I am having to improve my very old school french quickly. Merci bien.